We are based in Kempsey in Worcester and offer a range of electrical services throughout Worcestershire. R.A.Barley electrical services only use qualified electricians and are committed to providing the best customer service. We are proud to say we have built our business on the customer service we offer. With over twenty five years experience in providing electrical installation and electrical inspection and testing we are able to offer you the best advice, and competitive prices. If you have an electrical fault or need an estimate for any electrical installation work we offer a FREE estimate service. Most domestic electrical installation work can be estimated over the telephone, (mobile is best 07941 581330) or by using our contact form. If you live in Worcester we can give you a quote within twenty four hours. Richard Barley caries out all of electrical Installation condition reports, quotes and project management. We have electricians available for emergency call outs. If your power supply has been interupted and other buildings near by are also effected you are better off calling your electricity supplier, but if only your property is effected by the power cut we can come out and find the fault for you. Our prices are fixed and we can give you a estimate for the call out over the telephone. Electricity is dangerous and if you find that a fault has occurred in your property, do not think it will get better as time goes by. Electrical faults only get worse. We specialise in fault finding in domestic properties and are able to visit you property and use our test instruments to find the problem and return your supply to normal. If further work is required we will give you an estimate on site and arrange a time to come back. I have been lucky enough to have served a full apprenticeship to become a City and Guilds qualified electrician with the MEB (Midlands Electricity Board). I started at the age of 16 in June 1990 and finished the apprenticeship in September 1994 to go on and start R.A.Barley Electrical Services. 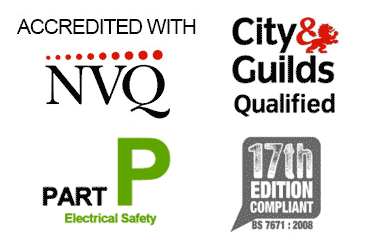 Knowing who is a qualified electrician and who is not is becoming more difficult for the general public, and so we make sure all the electricians we use have all the City & Guilds certificates required to become a qualified electrician. We believe in the apprenticeship system and only use electricians with enough experience and qualifications to complete the work to the highest standards. 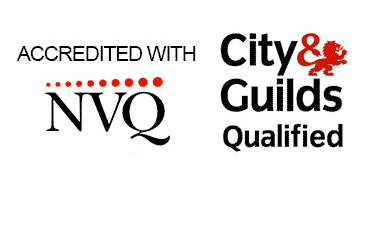 City & Guilds 236 Part 1 and Part 2 Certificate in Electrical Competences / Electrician. Cisco Networking Academy CCNA Data Cabling – Networks and Routers. R.A.Barley Electrical Services Copyright © 2019.